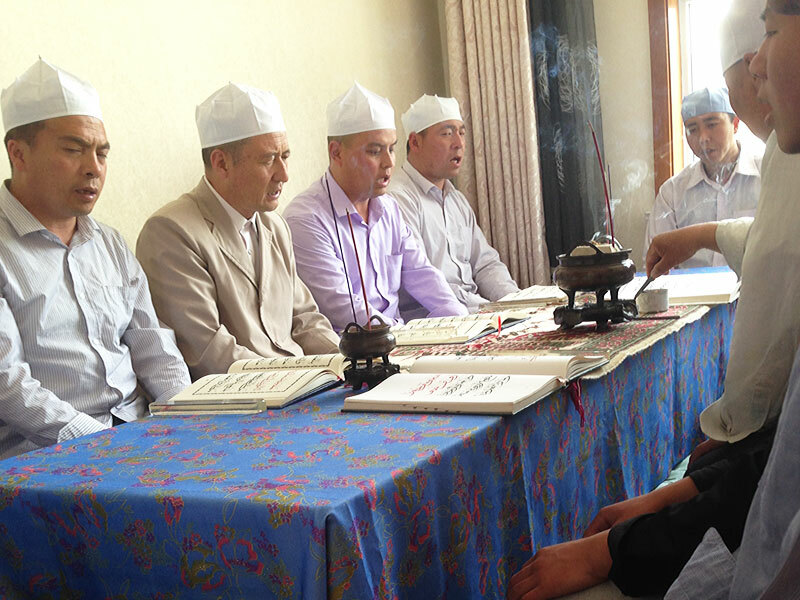 Though many Jahriyya Sufis in China’s Ningxia Hui Autonomous Region would hesitate to designate their daily recitation as a form of musical performance, they are not necessarily opposed to comparing it to singing. 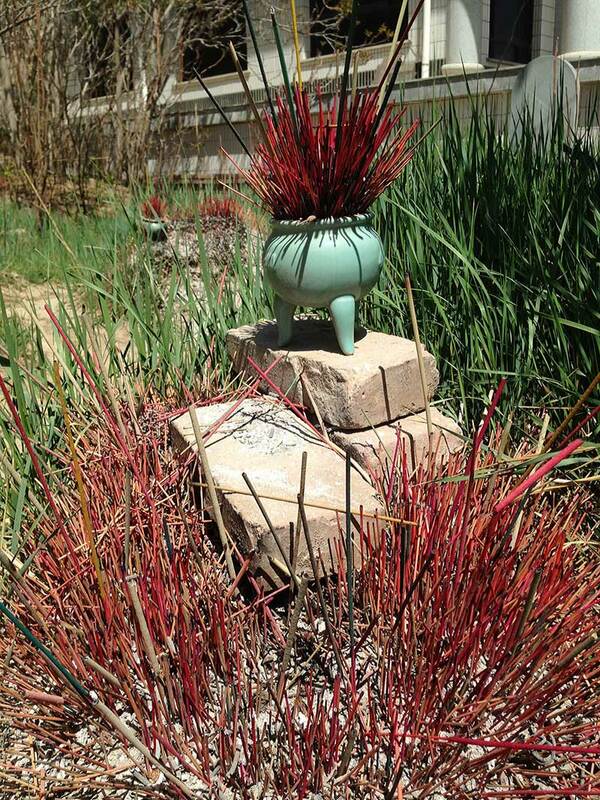 Different words are used to describe a beautiful and moving voice: liang, for instance, is frequently used as a visual metaphor to drive home the point that a good voice can “brighten up” a space, expanding and clearing it. Dawr, for another example, is the major term – in this case a noun adopted directly from classical Arabic music – to name not the melody of the recitation alone but the integration of its multiple coordinates. Different dawrs may share the same melody but differ in their pace. Some may be faster than others, and the role of the “leader” might also vary across different dawrs. Variations are often slight but perceptible, constitute points of incessant dispute and engender multiple interpretations. Voices are not merely heard and appreciated; they labor to produce a social space and exclude those who either could not hear or do not possess the appropriate comportment necessitated by such hearing. Both voicing and listening are trained at once in collective ritual settings, but they are not given equal weight. In this presentation, I trace less the disciplinary formation of a Jahriyya ritual soundscape than the emergence of specific kinds of human relationship through and by means of activities of voicing and listening. I am interested less in the sounded colonization of space – its more-or-less loose organization by the presence of often contingently contiguous sounds and voices – than in how particular forms of power, authority, and responsibility are constituted in the process of voicing and listening, how social hierarchies are reproduced and at times destabilized through these ritual practices, and how the Sufi saintly genealogy is both continued and disrupted, metaphorically figured and literally represented in unique vocal performances. To make these general questions manageable in this short presentation, I examine specifically the routinized recitation of two classical texts among Jahriyya Sufis, namely Awrād and Mukhammas. The former is a short selection of Qur’anic verses and other conventional praises of God and the prophet, recited in full after the morning prayer and in part after the third prayer in the afternoon. Mukhammas, on the other hand, is a collection of fine-lined Arabic Sufi poetry that approximates cinquain in Western poetic genre. It is an unshakable rule for Jahrriya Sufis to read five pages of Mukhammas every night after the last prayer. Both the genre of the text and the context of its recitation directly impact how it is recited and how long the training might last. On the one hand, the largely prosaic form (sanwen) of Awrād renders its dawr relatively easy. The text is less structured by rhetorically framed linguistic devices than it is organized by the smooth progression of plain assertions and praises. The simplicity of the grammar partially accounts for the rapid pace of Awrād, its musical dimension undermined by the fact that those who cannot follow the dawr could nonetheless “slip through (hua guoqu)” as long as he – always and exclusively he – is familiar with the relevant Qur’anic verses. The prominence of dawr and the indispensability of “tone (diao)” are particularly significant in the ritual recitation of Mukhammas. In stark contrast to the prosaic construction of Awrād and its nature as a hybrid combination of disparate textual sources, Mukhammas is well structured by the pattern of five lines and consists primarily of poetic praises of the Holy Prophet. The first and the third lines share a similar dawr, while the second and the fourth are framed by a different melody. The fifth, on the other hand, has its own tonal construction. The melodic alternation between lines is further complicated by the uneven distribution of syllables. Though lines with the same dawr often share the same number of syllables and similar distribution of long vowels, variations still abound. The progression of dawr is largely determined by the necessity to merge the words and the notes into seamless vocal units. This pursuit of perfect consistency drives the numerous alterations that deviate from the normal rule of recitation. Shifts occur primarily at the site of diacritics, as short vowels are frequently given extended length that approximates that of a long vowel, and sukūn is often not silent as much as pronounced in observance of rules specific to Jahriyya Sufism. This is not the place to fully unravel all the intricate rules that organize the Jahrriya pronunciation of the Arabic language. What I do want to highlight in this contrast between Awrād and Mukhammas is that the difference in terms of textual construction not only sets them apart in a hierarchy of dawr complexity and the pace of recitation (imaginably, the recitation of Mukhammas is considerably slower than that of Awrād). It also institutes distinct modes of relationship between the “leader” and the “led,” between the reciter who initiates and “pushes forward” the recitation and those who follow up and depend upon him in punctuating the vocal performance. 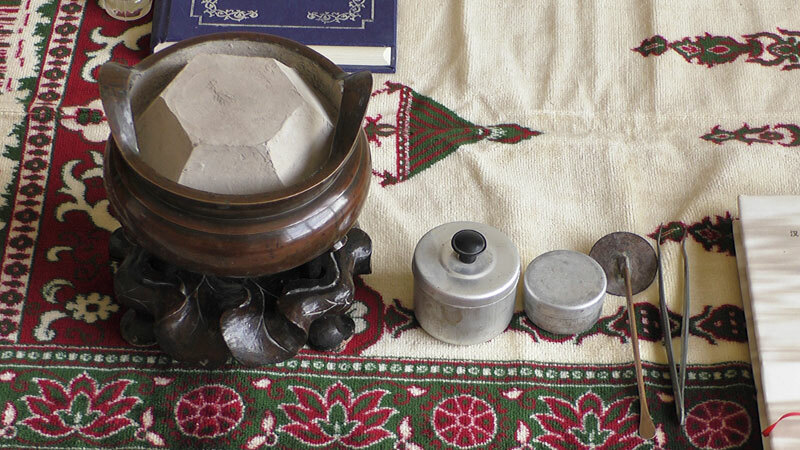 For Jahriyya Sufis, ritual recitations are intrinsically collective – they not merely happen to occur in a collective setting, but collectivity is built into the felicitous enactment of dawr. Mukhmmas (and Awrād to a lesser extent) cannot be reduced to an individual obligation, and no individual can perform its recitation insofar as he must sustain the integrity of its dawr. The relationship between the “leader” and the “led” is not one of enforcing compliance or imposing conformity. It is marked by the combination of two opposing imperatives: on the one hand, the ritual depends for its success upon its participants intoning every single syllable of the poetic text. The ability to pronounce clearly and fully, and the care not to leave out a syllable however short it might be, are crucial and indispensible elements in the daily recitation. On the other hand, however, the dawr of Mukhammas is characterized by a rhythm that contradicts the first point at the individual level: if one fully pronounces the last two syllables of the second, fourth, and fifth line of the five-lined stanza, one necessarily has to disrupt the flow of the recitation. One has to catch the breath and “rush (gan)” so as to fall back in line with the running rhythm that has already reached the first syllable of the next line. This contradiction is irresolvable at the individual level: one either leaves out the last two syllables or must interrupt the stream of poetic chanting. This dilemma finds its solution only at the collective level. A division of the vocal labor organizes the relationship between the leading reciter and his followers. The leader always leaves the last two – at times four – syllables to his followers while taking a breath to initiate the recitation of the next line, whereas those who finish up the preceding line would leave the first two to four syllables of the new line to the leader since they also need to balance their breath. This structured alternation is interspersed by numerous spontaneous breakages and starts that result from individual adjustments: coughing is pervasive, and catching up in the middle of a sentence is less exception than norm in the course of recitation. In other words, almost no one in a collective ritual setting will be able to intonate every single syllable of the text, while the success of the recitation depends essentially upon a presupposed yet barely articulated trust: everyone believes that someone else in the group will intone the words one leaves out, and the structured alternation guarantees that the leading reciter will read out the syllables missed by the followers and vice versa. This means that the practice of listening – in fact the assumption that one could listen and that there is something to be listened for – is intrinsic to the performance of voicing. The absence of one’s own intonation is filled in by that of others, and listening for the missing syllables and merging oneself into the voice of the other is part and parcel of one’s full participation in the collective recitation. The kind of human relationship that emerges in this specific context of sounding bears the following form: everyone is responsible for everyone else, and everyone supposes that there is always someone out there who will be responsible for oneself. 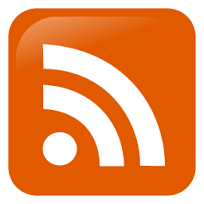 The “other” that will take charge in the interregnum of temporary silence is not necessarily – perhaps even necessarily not – locatable, but it is always presumed that a certain “other” does exist somewhere in (and beyond) the group. As all Jahriyya Sufis across China recite the same five pages of Mukhammas each night, the spatial extension of the “group” that recites collectively far exceeds that confined by the four walls of the prayer hall. The rise of an abstract yet supremely concrete “collective” hinges precisely upon the emergence of this unlocatable yet presupposed “other” through the actual practices of voicing and listening. The “social,” as that which by definition transcends the sum total of its constituent individuals, acquires its irreducible integrity in this case precisely through and by means of the rhythmic presence and absence of voices. This circulation and alternation of voices does not entail an egalitarian soundscape, however. The power of the unlocatable Other is unevenly distributed in the group, as some, particularly the leader and those in his vicinity, are given more responsibility than others. They partially embody the force of the social, while their temporary authority is predicated almost completely upon their vocal artistry and skills in steering the collective voice. Their leading position is conditioned by how close they approach that necessarily unreachable point of the vocally configured social, and the closer they are, the more they bear the unbearable responsibility that is supposed to fall upon the Sufi guide (murshid) who is esteemed for his power of divine intercession. The power of sainthood in this case taps into the well of the social and obtains its energy from the latter, and the specific medium that effects this constant invigoration is the reciting voice. Indeed, the word Jahriyya is derived from jahr, “to recite loudly or publicly.” The role of the voice cuts deep into the core of Jahriyya Sufism, and produces a distinct conjuncture of sociality, power, authority and responsibility. Voices in Jahriyya ritual performances are often localized and strengthened by the meticulous spatial arrangement of a variety of objects. 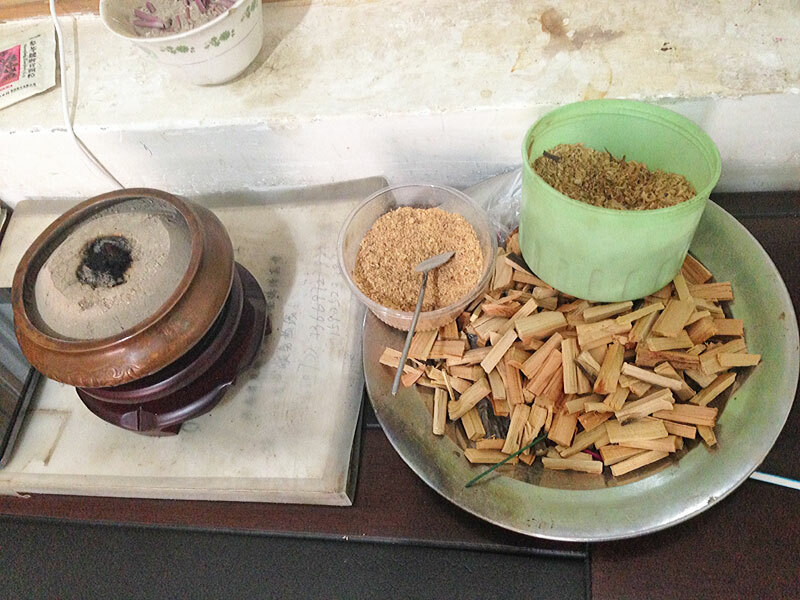 These paraphernalia include different types of incenses, brass burners, cedar wood ground to pieces of various sizes, and layers of specially made sheets known as jingdan (lit. “sheets for the classics”). 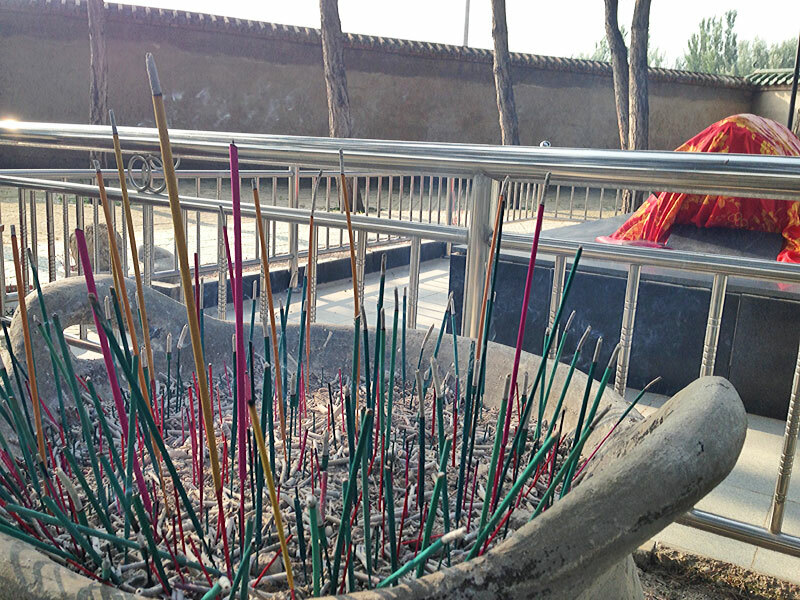 The use of incense for devotional purposes has been disputed by Muslim reformers since the late 19th century, though it continues to remain a lively tradition among the Jahriyya and many other Sufi orders in China. 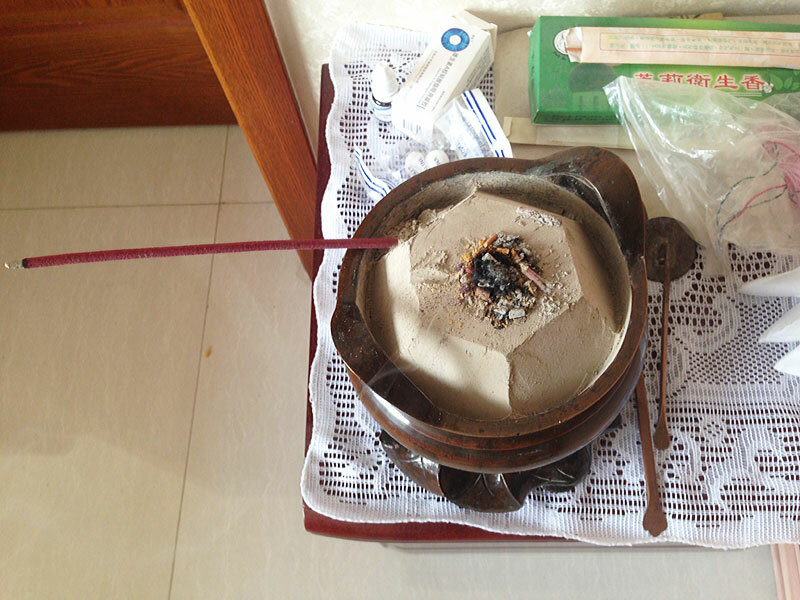 The large amount of incenses used on important ritual occasions sometimes causes spectacular fire that is seen by some to resemble what often occurs in Han popular religious settings. Rather than shaoxiang (lit. “burn the incenses”), the conventional term used among Buddhists, Taoists and adherents of other Han popular religions, the Jahriyya followers often name their own version dianxiang (lit. “igniting the incense”), implying both that the amount used is considerably smaller and the fact that this act follows specific rules. Both, however, are not necessarily true for all occasions.